How to Make Money, lots of it. Do you want to be as rich as the old guy in this picture? 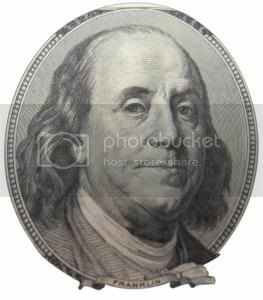 After all, he did get his picture on money because at the time, he was the wealthiest man on the planet and he owned a money making factory where he put his face on all the 1 dollar bills. It’s green, it has old guy’s faces on it, and it is packed full of bacteria and viruses, but yet, we all want more of it. No, it’s not brocolli…. yes it’s money. We have heard it all before, go to college to get a good job, work a little harder, start your own business,…join the Anthony Robbins cult and sacrifice chickens in the name of motivation. But what does it really take to make money? Our research team, which is comprised of 8 economists and MBA’s from Yale and Princeton, give us the skinny on making a penny. From their research, we have distilled it into three main points which should have you bank rolling in no time. 1. Lie: Lying is supposedly dishonest, immoral, and wrong…but come on who’s really a saint? Everyone has lied and we continue to do so, but if you lie to make more money at least it’s better than to lie about cheating on your spouse (which we also advocate in extenuating circumstances). Okay so how is lying going to make you more money? Simple just lie on your resume and you will get a better job, hence more money. If your conscience gets to you about doing this, think of it not as lying but as doing what it takes to feed your family. 2. Cheat: Next step in our formula is cheating. The IRS doesn’t really check all those returns. Assume that your tax return will get lost in the shuffle. Put at least 5-8 dependents and lots of money to charity (just make sure that amount doesn’t exceed your total income, it might throw up a red flag). Do this and watch your tax return triple, at least. 3.Steal: When shopping for groceries you can cut down on costs by what I like to call “creative combining” Let me elaborate-say you buy a pound of sliced ham and a pound of sliced cheese, it has to be from the deli though, that way you get them in those little bags. So , discreetly open one of the bags preferably the less expensive of the two and stick the other one in it and close it, now when you check out you’ll only pay for one item instead of two. Say it with me…BIG MONEY. Afterthoughts: Other things you can do to make money is go wherever there is a natural disaster. When you get there find out where FEMA is giving away free stuff and go there. When you arrive at the FEMA distribution point make sure you have a down trodden look about you, wearing a mildly dirty shirt and your favorite team’s baseball cap will help give you the look of despair you need to succeed. Now, when you get the items just say thank you and walk away…don’t smile don’t elaborate or make up false stories about the bad luck you had when your house blew over, just leave so they don’t remember your face. FEMA operations usually run for several weeks, so you have plenty of opportunities to get free bottled water, free ice, and free food and then turn around and sell it. Hope this advice helps. If you have a success story you would like to share, please drop it in the comments box below.